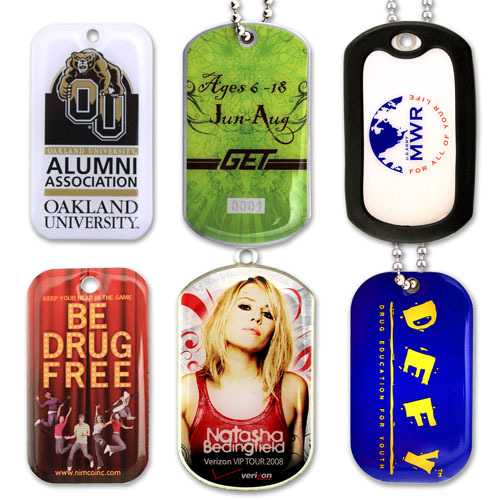 * Four color process imprint on one side of stainless steel dogtag. * Includes 24" bead chain. Other bead chain lengths and attachments for dogtags available. * Second side imprint available, call for details. * Fast four week delivery, rush service available. Other dog tag styles available, call for details and pricing.